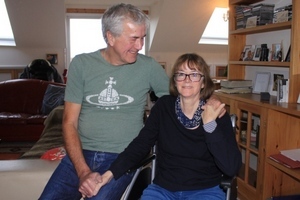 When former barrister Jo Byrne-Green was struck by a mystery virus 23 years ago, she expected to be back on her feet within a few days. But, when her symptoms dragged on into weeks, and then months, she began to suspect she had more than just a case of the flu. “It just hit me, I felt like I had never felt before, I could almost feel the blood coursing through my veins,” she explained.